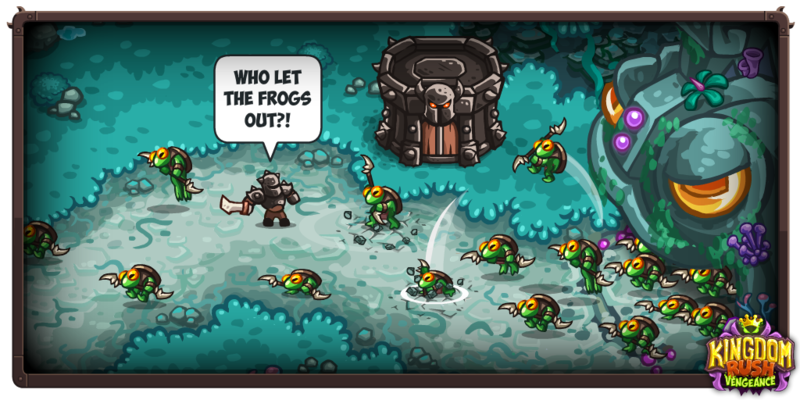 They are hundreds, my General, they sing... and croak... and jump! They jump a lot, and too far! Their strange spears are deadly and the shields on their backs are as hard as they can be! We are not prepared to fight against such weird warriors! The defeat is imminent, boss, my apologies, but we need you here! And that’s how the letter ends, General… Should we send news to Lord Vez’nan?